Home/Arts & Culture/“Everybody is a soul experiencing bliss”: Talking with Edmonton rapper S.E.B. Perhaps most immediately noticeable about the Chilean-born-and-raised rapper S.E.B. is his overtly spiritual worldview, which is evident from his name alone. The moniker S.E.B. denotes, most simply, the first three letters of the current fourth year psychology major’s first name; he always considered the acronym S.E.B. to sound “strong.” But, as Sebastian Rubio pointed out to me, it took him some time to discover what the acronym should stand for. Now, the name “S.E.B.” serves to better exemplify both Sebastian’s feelings while performing and his mode of engagement with the world. The implicit reference to Wu-Tang member ODB in Rubio’s stage name also speaks to his strong musical influences. Rubio’s musical offerings exist very much within the traditional 90’s boom bap style, a style which he says “will never die.” Rubio hopes to reinvigorate the 90’s aesthetic with contemporary relevance by presenting universally relatable insights into his own emotions and lifestyle. This desire to express himself is not limited to rap per se, however, as his diverse use of varying performative media — be it spoken word, poetry or otherwise — serves to satisfy his insatiable need to unravel and understand the complexities of his own experience,and how it relates to the world he inhabits. 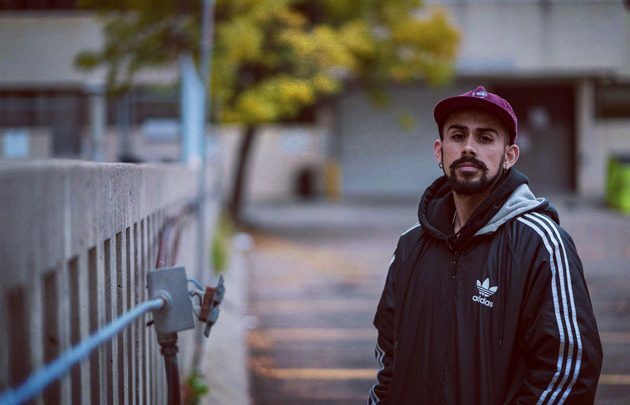 S.E.B also sets himself apart with his bilingual Spanish/English rap, paying homage to his Chilean heritage while simultaneously speaking to his current situation. Around that same time he started listening to hip-hop and fully engrossed himself in his new discovery. His passion for writing didn’t fully flourish until he left high school: after moving to Canada at 18, he spent a while working in Whistler without much to occupy his mind. With no pressing educational obligations, he was able to fully devote his expressive urges toward writing and discovering himself through lyrical expression. This newly unleashed purposefulness continually propels Rubio toward his goals of continued expression and growth. In addition to his upcoming EP entitled Raw — expected in the coming months — S.E.B also has a series of weekly musical releases under the name Rap Ala Vein on his youtube channel. S.E.B will also performing as an opening guest for the upcoming Deranged House show on May 10th at Bohemia.